Vientiane (VNA) – Lao Vice President Phankham Viphavan welcomed a delegation of the Ho Chi Minh Communist Youth Union (HCM CYU) Central Committee in the Lao capital city of Vientiane on July 1. Welcoming his guest, the Lao Vice President highlighted the key role of Vietnamese and Lao youths in developing each nation as well as cementing their traditional ties and comprehensive cooperation. 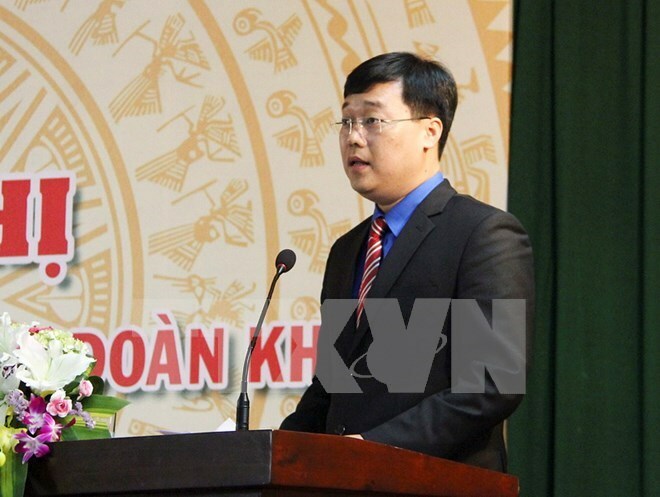 The head of the Vietnamese delegation, First Secretary of the HCM CYU Central Committee Le Quoc Phong reported on joint programmes between the youth unions of the two countries. The two unions have exchanged visits and shared experience in youth affairs and training, with more specific plans to strengthen their ties in the future, Phong said.